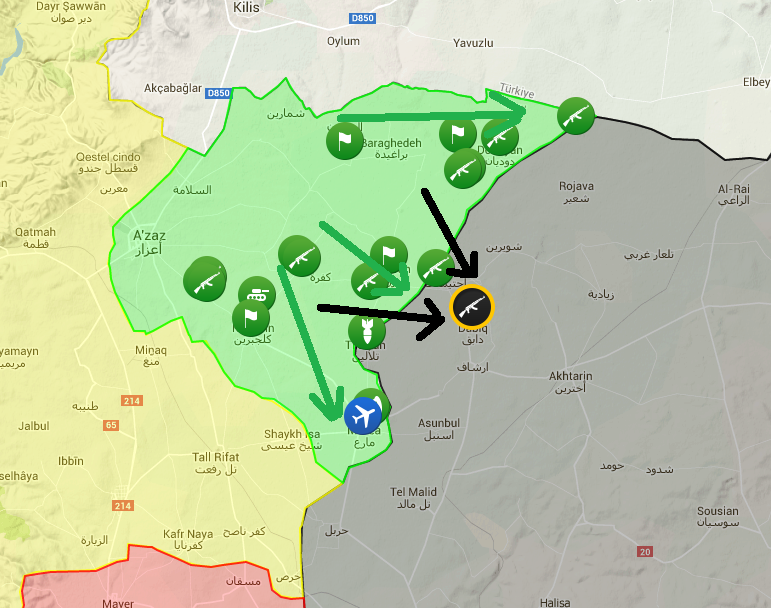 Through yesterday, ISIS had been pressing the northwestern Free Syrian Army forces away from Dabiq and into the mountains. Possibly due to the Kurdish advance on Manbij (where ISIS was at risk of leaving their backside totally exposed), they've evacuated back towards Manbij to hold there, giving the FSA an opportunity to potentially surround and isolate the town. 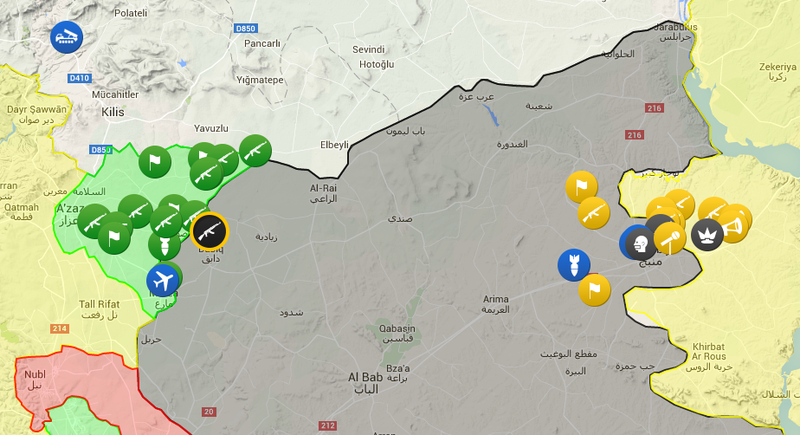 Here's the northwestern Syria map for context.